The stained timber front door has double glazed panes and affords access from the front and the lane into the porch. With double glazed windows, is suitable for shelter. Substantial timber door with double glazed pane leads direct into the second reception/dining room. Door from the rear hall area to the ground floor WC. Two double glazed windows and french doors to the conservatory. A super fitment is the black cast Stovax multi fuel stove with a glazed door recessed to the chimney breast and outer limestone style surround. There are four wall lights, radiator with thermostat, five double power points, telephone point and a TV aerial with Sky link. Good ceiling height of 2.30m with three beams to the ceiling, contemporary decor with a gold/bronze African style pattern and beige carpeting. 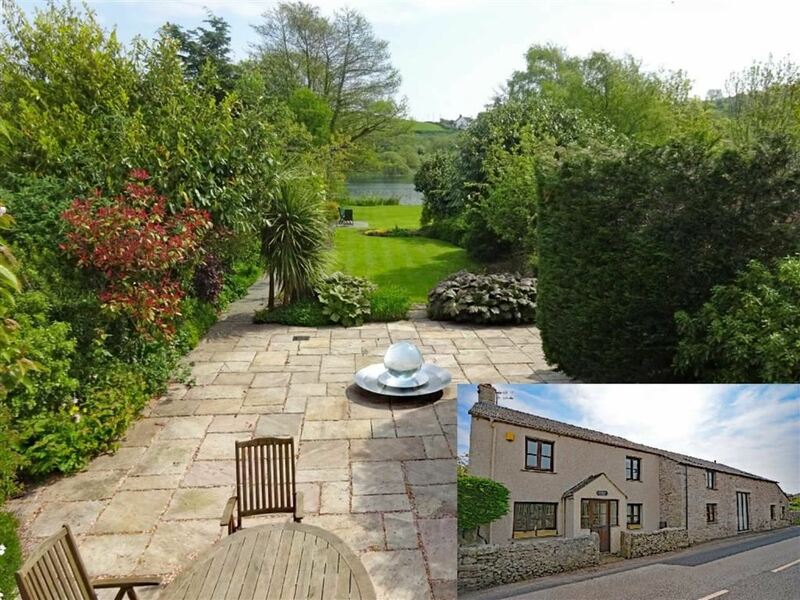 Dwarf wall UPVC double glazed windows with super views with the extensive patio, garden and further to Urswick Tarn. 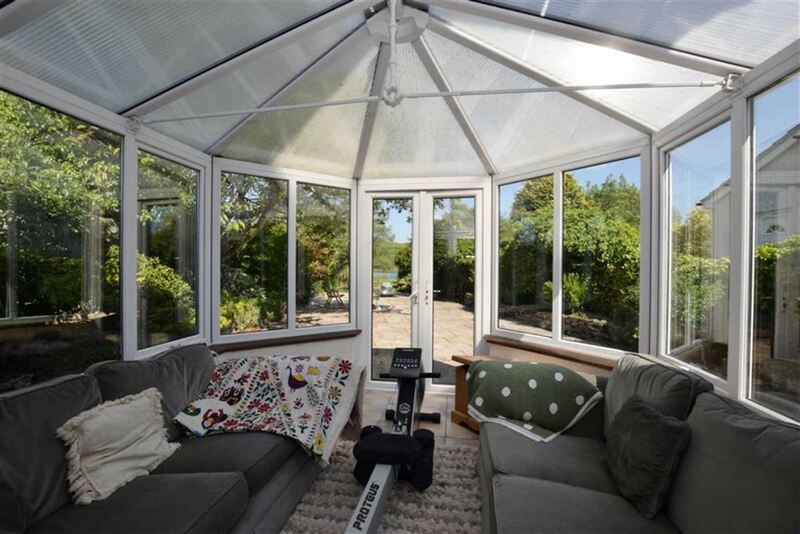 A valuable addition to the property with opaque polycarbonate roof panels and tiled flooring. Two double power points, twin UPVC frame and fully double glazed french doors lead to the large patio terrace garden. Double glazed windows with opening panes to the front. The central feature is the modern, attractive open coals living flame gas fire with a cast grate, ornate/period style cast outer surround with mantle ledge and quarry tile plinth. There are three wall lights, radiator with thermostat, three double power points and the decor is of mocha with bronze motif and ceiling beam. 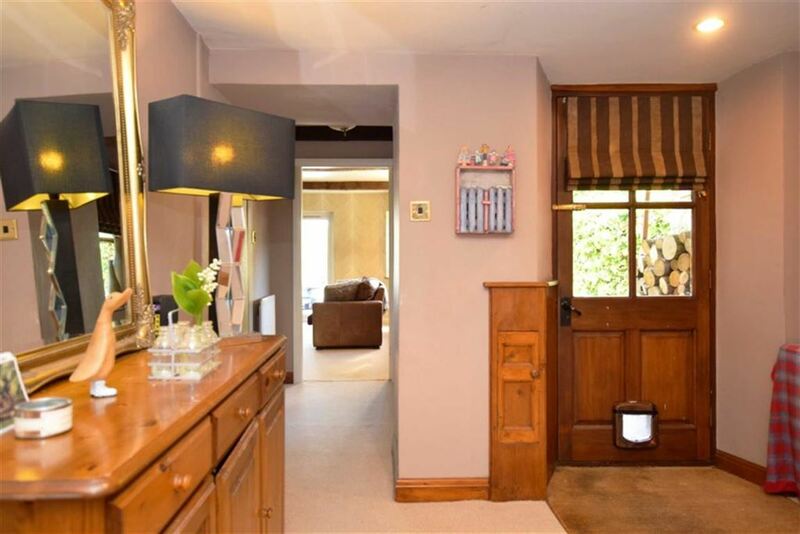 Separate doors to the staircase, utility room and inner hall. Stained double glazed window facing the front aspect and the lane. 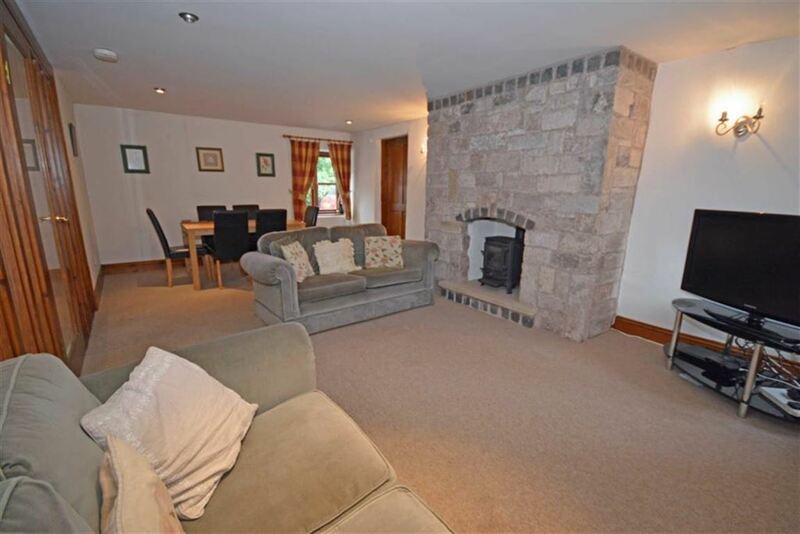 The central feature is the recess to the chimney breast with exposed stone and slate hearth. There is also a radiator and thermostat, power points, telephone point and the decor is of natural stone. Open access to the central hallway. 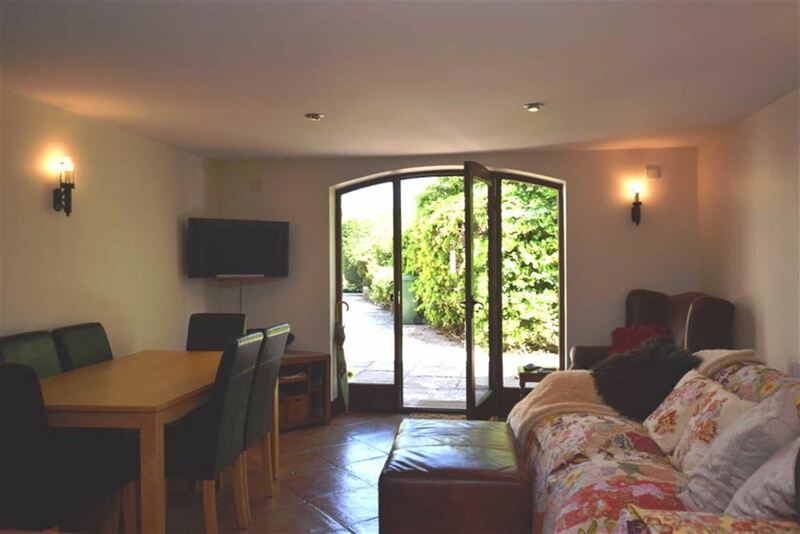 External door with glazed panes to the patio area and access to the study and kitchen. Door to the dining room and stairs. Double power point, telephone point and smoke alarm. Double glazed window to the front, double glazed french door and windows facing the rear to the garden. The kitchen has been fitted with a good range of modern and superior Kirkland Kitchens and bespoke units with pewter style handles and granite and Iroke work surfaces. 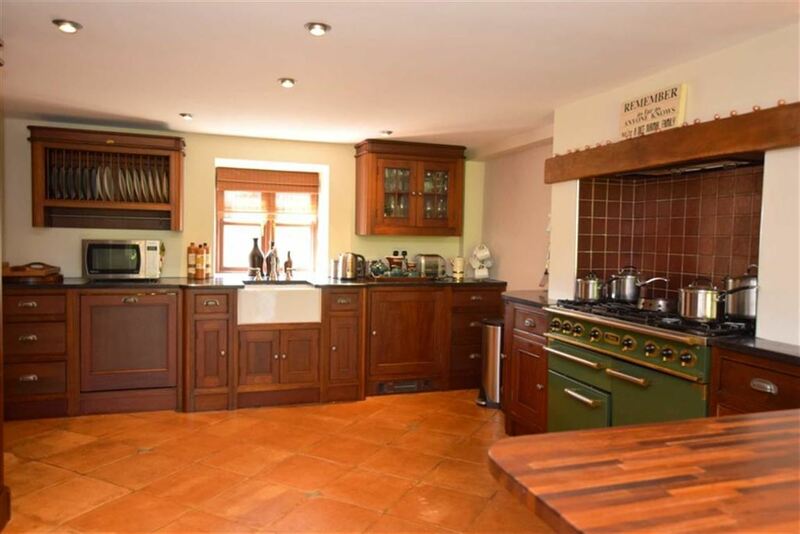 There is an inset Armitage Belfast sink unit with steel mixer tap, a cooker filter with hood, fan and light. Recess for a dual fuel range cooker, recess plumbing for a fridge freezer. 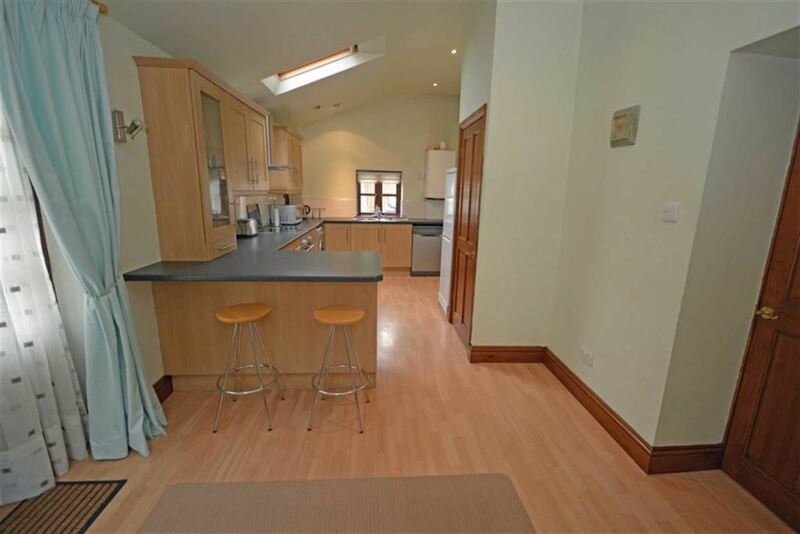 Column radiator and thermostat, ample power points, TV aerial, three wall lights and halogen lighting. Rustic neutral terracotta floor tiles. There is also good space for a dining suite and an integral peninsula unit with integral breakfast bar. This is a two piece fitted suite in white with brass fitments. 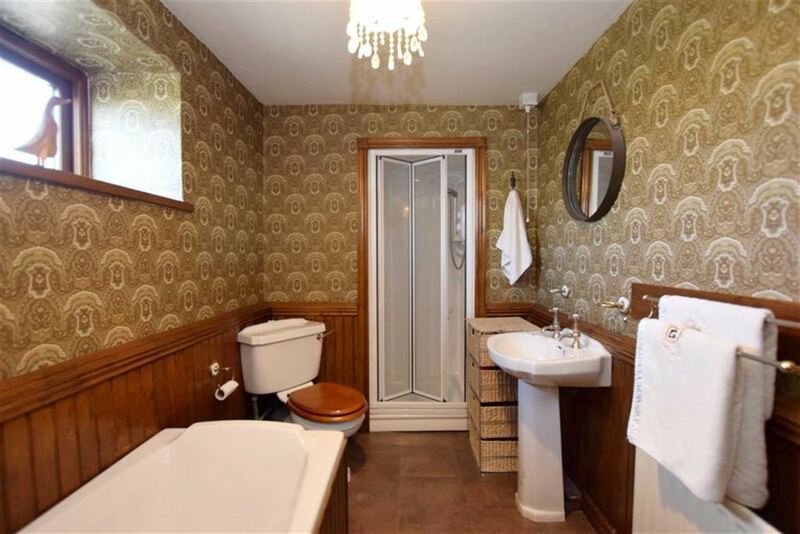 There is a low level WC with wooden seat and a hand basin by Heritage and a vanity cabinet. Opaque double glazed window and single radiator. Fitted work surfaces and wall unit, wall fitted gas Baxi boiler and adjacent under stairs area for storage. Recess/plumbing for a washing machine and recess for dryer. Doors to the dining room. Traditional, spindled and to two levels. 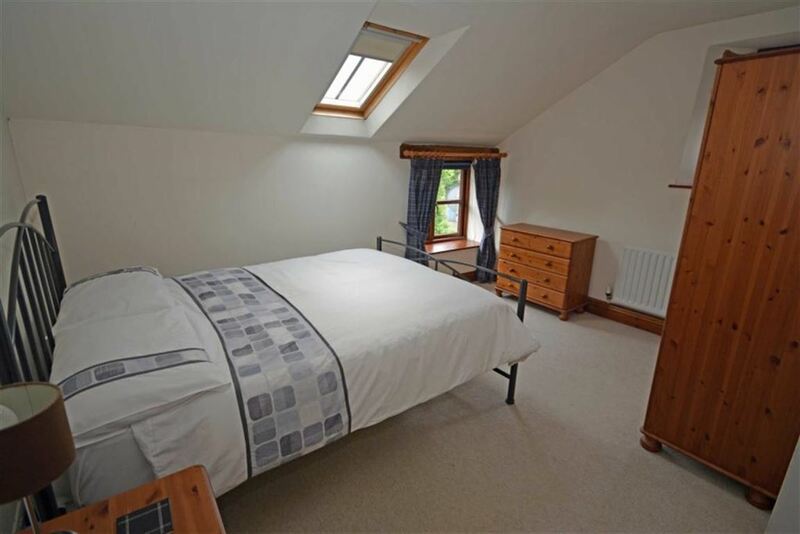 With double glazed window, radiator and thermostat, two double power points, telephone point and a smoke alarm. 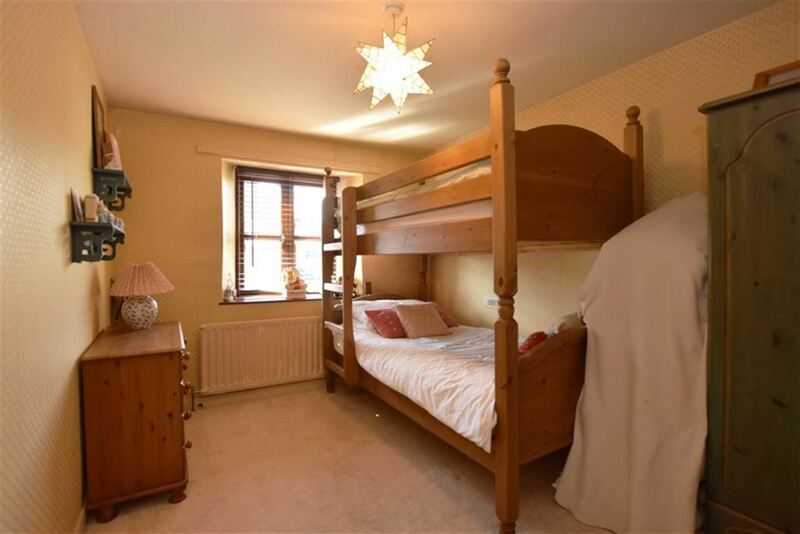 There is also a sitting area towards the rear and the primary bedroom. 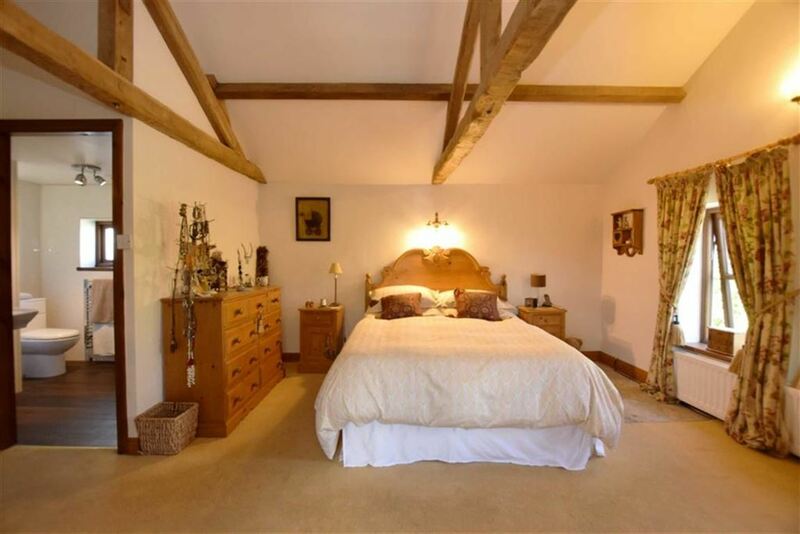 Matching stained timber doors lead to the five bedrooms and the bathroom. 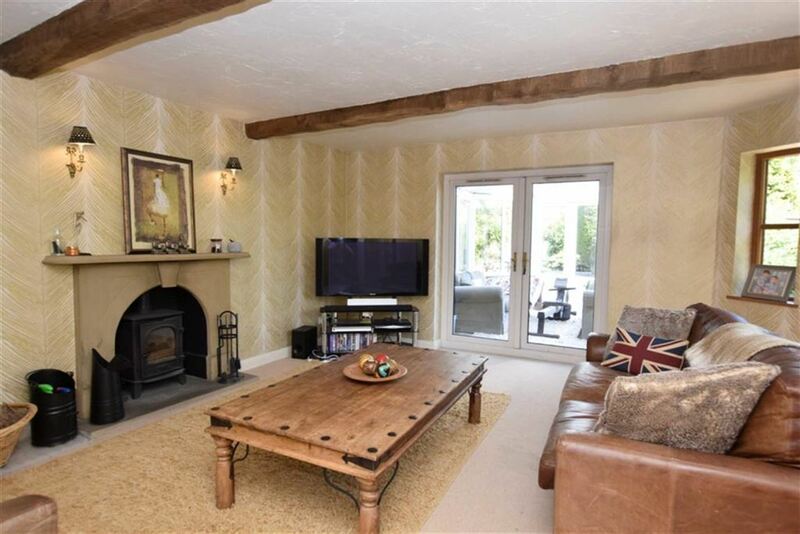 Three timber double glazed windows with opening panes and wood cills to the rear with lovely garden aspects. 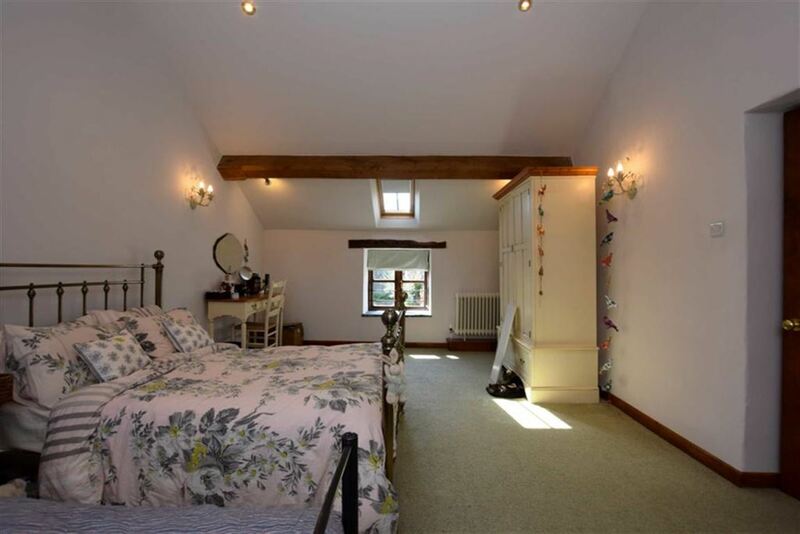 The bedroom has inclined ceiling with exposed 'A' beams and neutral decor. 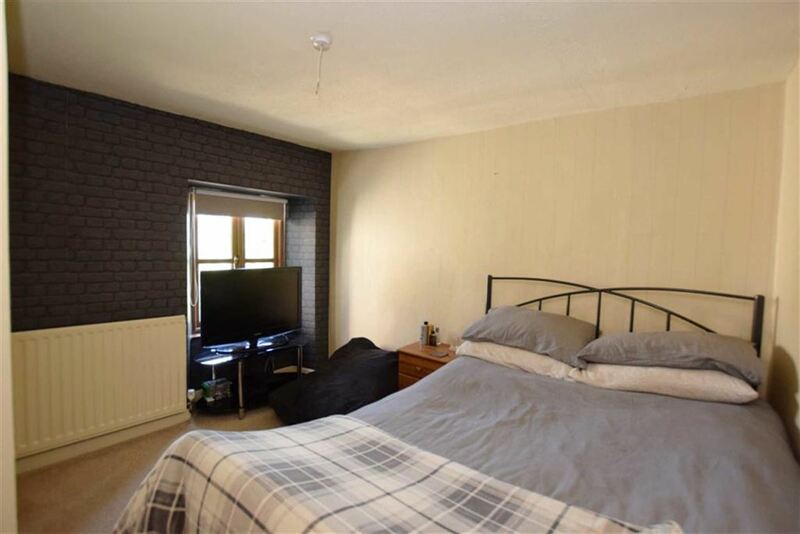 Double radiator and thermostat, four double power points and a TV aerial. Opaque double glazed opening window. This is a modern fitted three piece suite in white with chrome fitments and full modern cladding. Low level dual flush WC, shaped wash basin with pedestal and waterfall mixer tap. There is also a glazed quadrant shower cubicle with thermostatic shower both flexi track spray and fixed 'rainfall' head. Extractor fan, chrome tubular ladder radiator and mirrored cabinet with lighting. Double glazed window with slate cill, and a Velux window to the front. 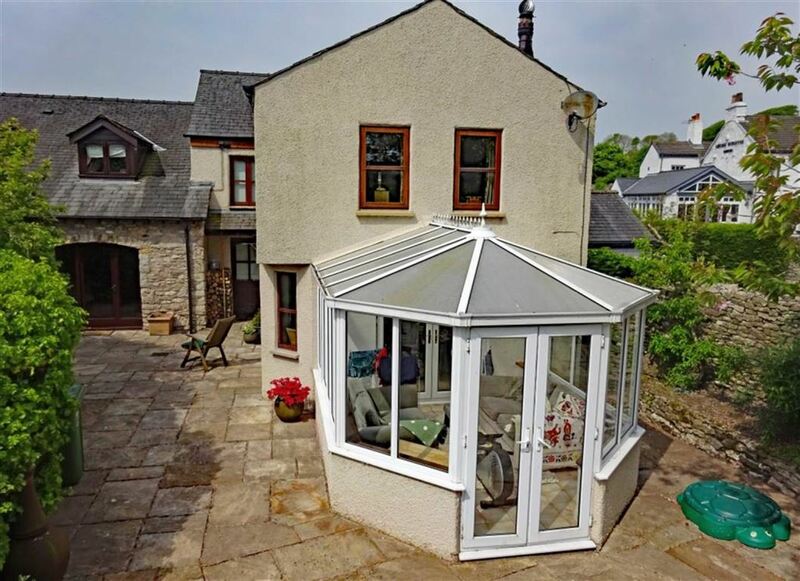 Double glazed dormer window to the rear with garden views. Two column radiators and thermostats, four double power points and a TV aerial with Sky link. An impressive room with feature and vaulted/inclined ceiling, four LED lights and four halogen lights to the ceiling beams, three wall lights and decorated in a neutral shade. Double glazed opening pane facing the front aspect. 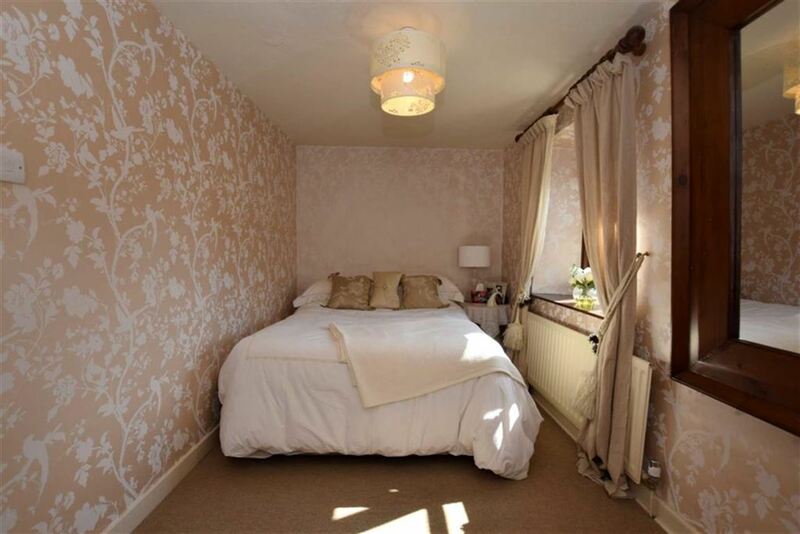 Within the bedroom there is a single radiator and thermostat, one double power point, one single power point and decor of Laura Ashley 'Cockateel' motif with golden background and ivory shade motif. Ceiling height of 2.12m. Double glazed window with opening pane facing the rear aspect. There is a single radiator and thermostat, two double power points and a TV aerial. 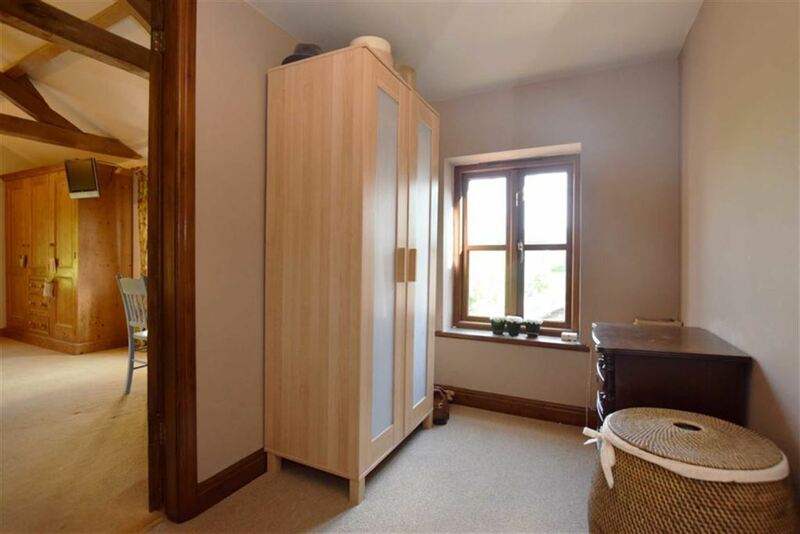 Built in wardrobe with two sets of twin, louvred doors. 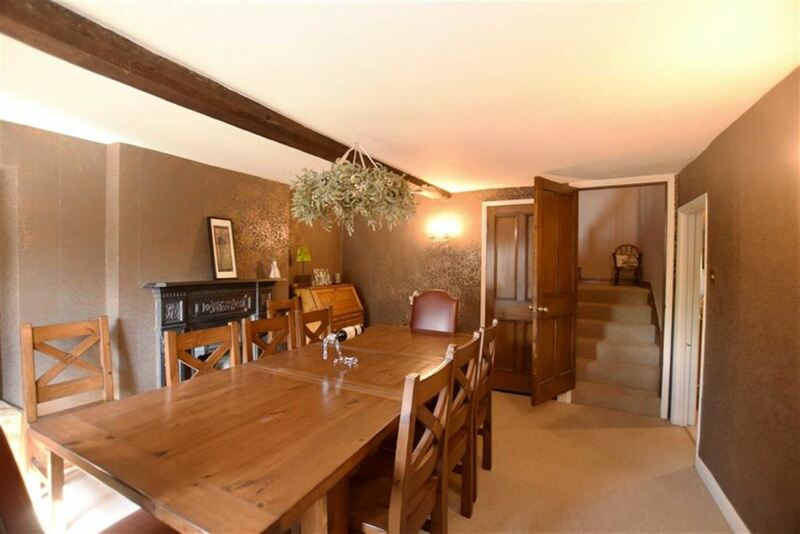 Stained wood, double glazed window with opening pane to the front and the village lane. 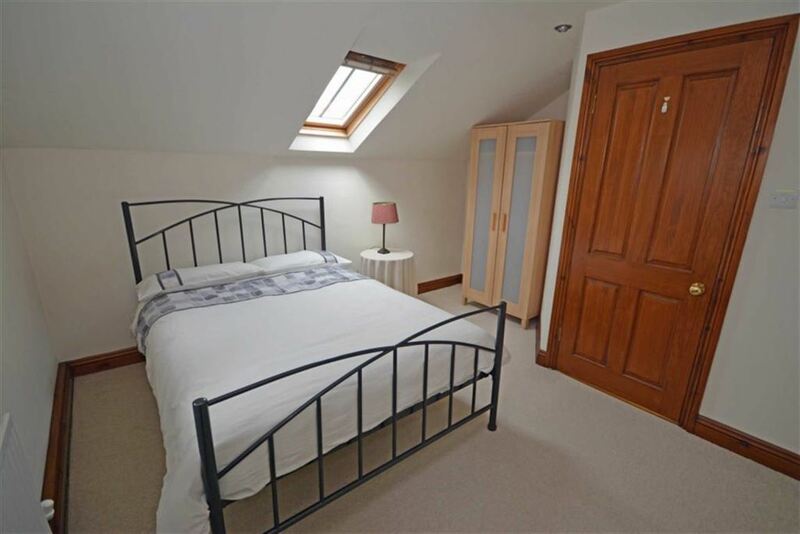 The room has a single radiator and thermostat, two double power points and access to the insulated loft with ladders and boarding. This is a modern four piece fitted suite in white with brass fitments and stained timber panelling. 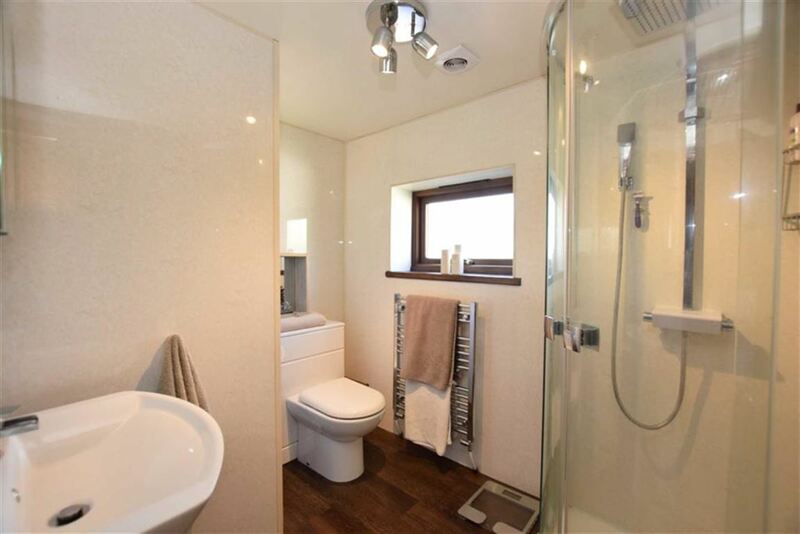 Low level bath with taps, low level WC with wood seat and wash cottage basin with pedestal and shaped taps. 'Showerlux' shower cubicle with electric triton shower with flexi track spray and bi-fold door. Radiator and thermostat and 'William Morris' period pattern decor. 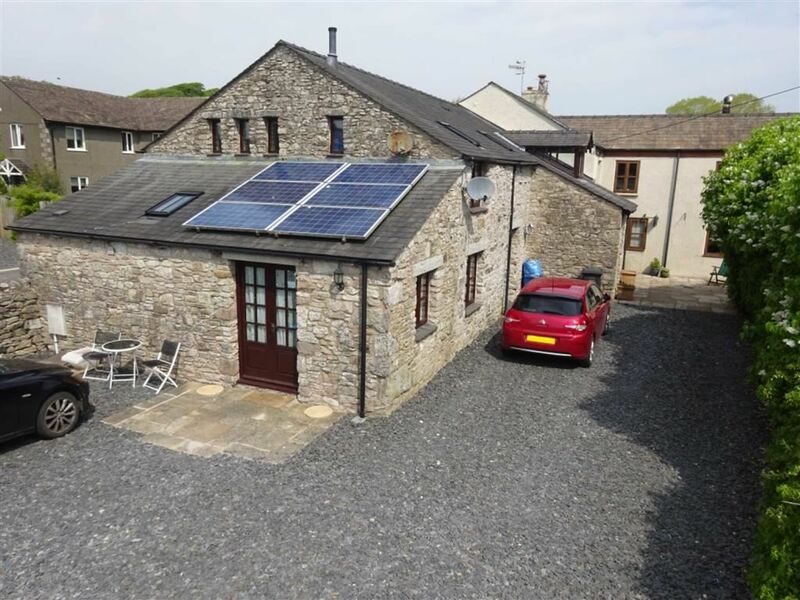 This is a superior, unique detached five bedroom period house and conversion with attached and self contained two bedroom cottage. 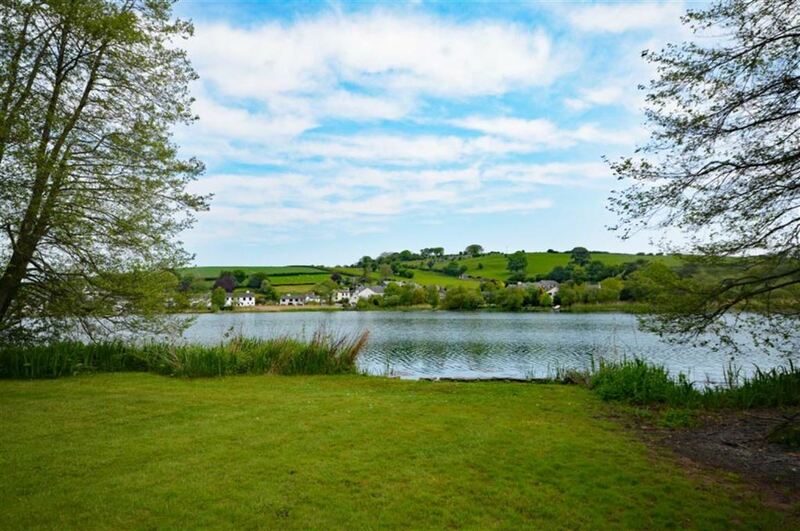 Most deceptive and in a highly desirable location with ample parking, extensive terrace and gardens running to the banks of Urswick Tarn and convenient for all of the Furness Peninsula. To the rear is a reception yard for the property and Vine cottage with slate chippings. 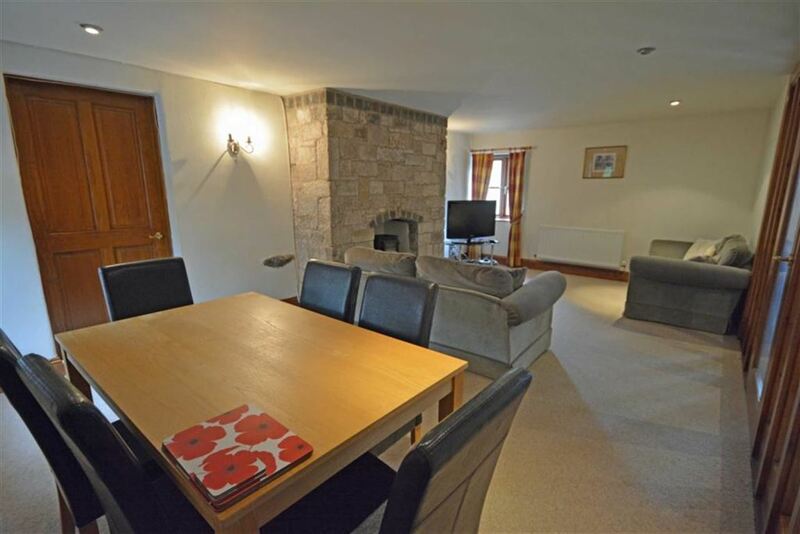 Extensive patio terrace both private and with a good sun aspect of Indian sandstone. Ideal for recreation. Side stone walls and border gardens. With windows, electric light and power. Twin doors. 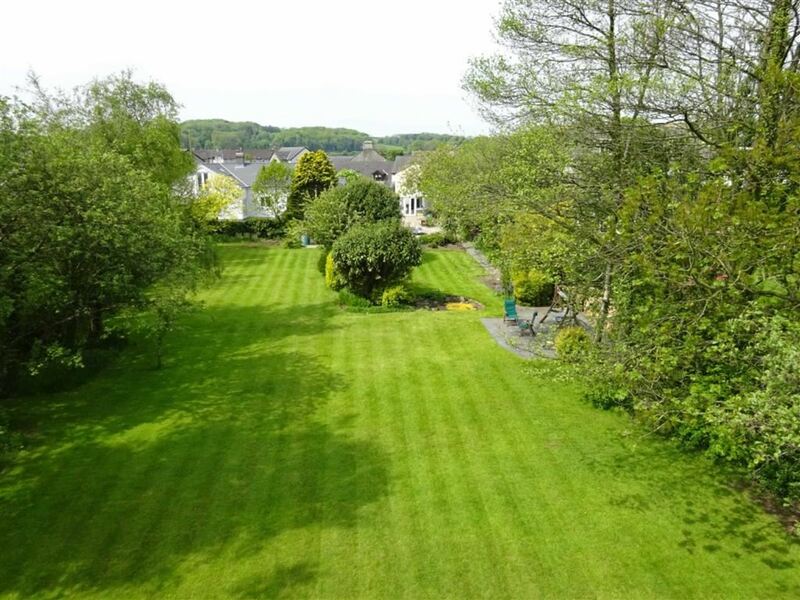 This is extensive, largely laid to lawn but easily maintained with mature borders and shrubs/plants and numerous trees. 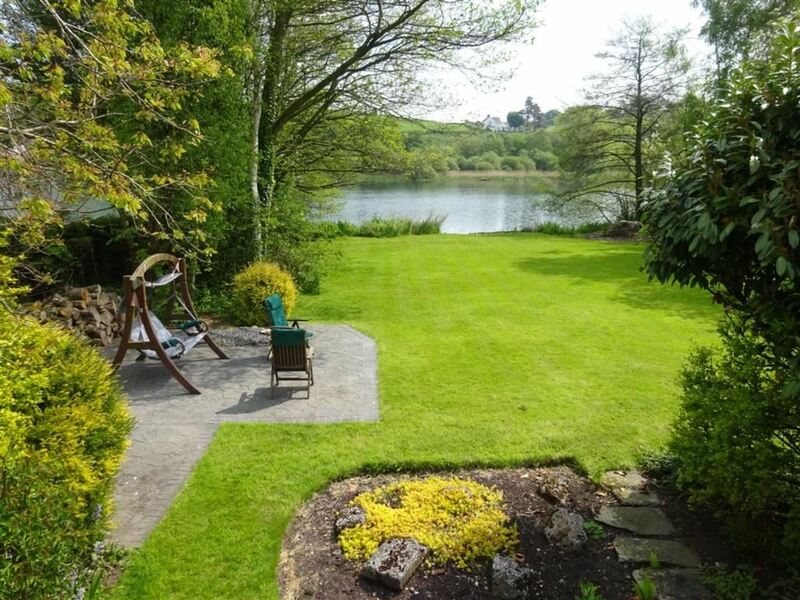 Crazy paved slate style patio and super recreational areas for the family with the valuable aspect of adjoining the banks of Urswick Tarn.